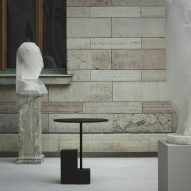 Stockholm's Nationalmuseum has reopened its doors after a five-year restoration, with a range of furniture, lighting and tableware created by contemporary Nordic designers to complement its interiors. 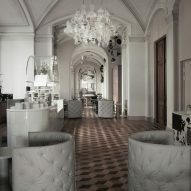 Built in 1866, the Nationalmuseum was closed for renovation in 2013, during which time many of its staff quarters and storage areas were expanded and converted into public space, including the new restaurant and café area, comprised of three large rooms. 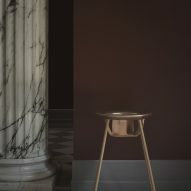 The institution commissioned five Swedish designers to work with 21 local manufacturers to furnish the new interior spaces, as part of its initiative to promote Nordic design, called NM& – En Ny Samling/A New Collection. 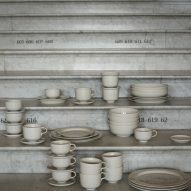 Gabriella Gustafson and Mattias Ståhlbom from TAF Studio, Carina Seth Andersson, Stina Löfgren and Matti Klenell oversaw the creation of 82 objects for the museum, ranging from furniture and lighting to tableware and textiles. 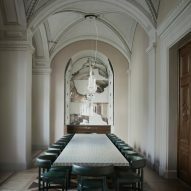 The team of designers travelled through the Nordic countries to gather research and inspiration from local manufacturing techniques, in a bid to create interiors that "highlight the process of making and celebrate the unfinished, in a house already filled with artistic masterpieces." 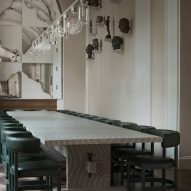 "In line with the museum's public mission and vision to make art and design accessible as broadly as possible, the restaurant's new interior design took the form of an artistic project," said the museum. 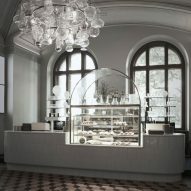 "The goal was to give a collective of designers the opportunity to work together, explore materials and methods, discover old and new producers, and ultimately provide visitors with insights into the design process – creating a new inspiring space for public use," it continued. 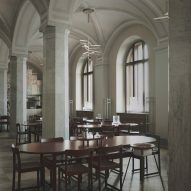 According to the Nationalmuseum, the hope is that the new spaces will act as a "constantly changing living room". 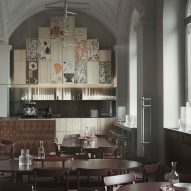 One of the products offered by Swedish studio TAF was a Nordic-style dining chair, made in collaboration with Finnish furniture brand Artek. 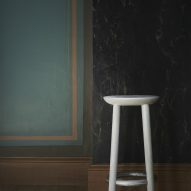 Gustafson and Ståhlbom wanted the wooden chair to be minimal, geometric and lightweight – weighing only four kilograms – in keeping with the Nordic style. 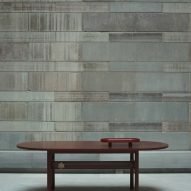 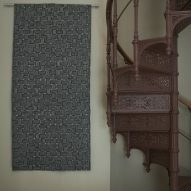 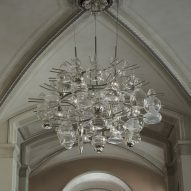 They drew on the early-20th century work of modernist Swedish architect Sven Markelius when designing the piece. 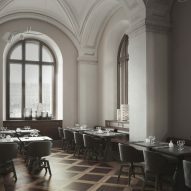 The interior of the Nationalmuseum's dining room took its design cues from artists' workshops – the birthplace of most artworks exhibited in the museum. 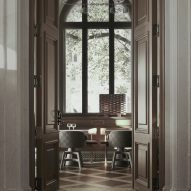 Taking its name from the setting it was created for, the Atelier chair was designed to sit inside this space. 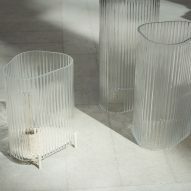 Inspired by the landing nets used for pike fishing, the Pile lighting collection designed by Klenell celebrates hand-crafted design as opposed to mass-produced products. 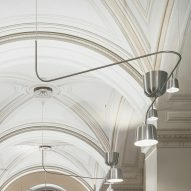 Manufactured by Swedish design brand Swedese, the Pile lights are constructed from layers of undulating strips of flexible compression-moulded beech plywood, assembled to form circular and cubic shapes. 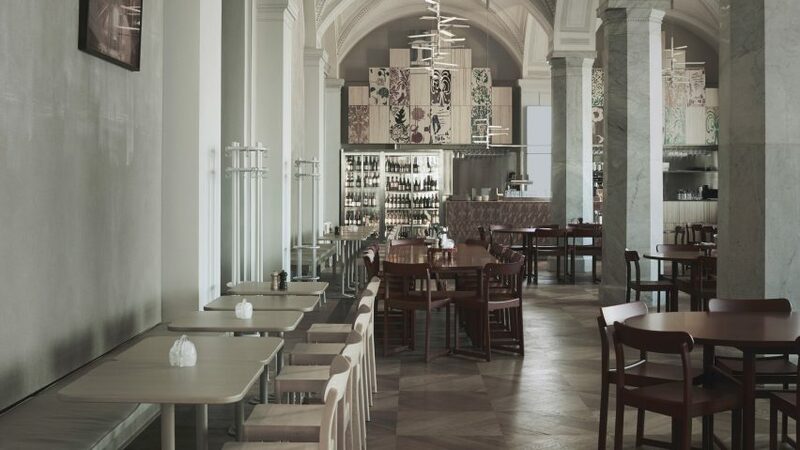 Klenell also worked with Swedish lighting brand Ateljé Lyktan to create a family of Mela lights for the Nationalmuseum's restaurant interior, which feature aluminium shades attached to a snaking metal stem. 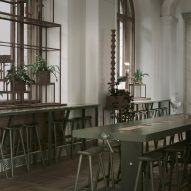 Like the Pile lamps, the Mela lights were inspired by the objects' process of production, shown in the deep imprinted effect of the stem as it is attached to the shade, which looks as if it is being pressed into a soft, cushiony piece of metal. 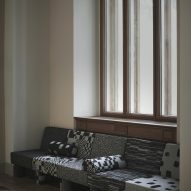 The designer also worked with Swedish furniture brand Offecct to produce a "timeless and elegant" tubular sofa for museum visitors to rest on, as well as a Swedish bistro chair developed with TAF Studio. 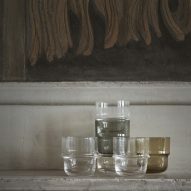 Other products include a series of glass vessels with a dappled-effect designed by Carina Seth Andersson and produced by Skruf, and a blue decorative hanging mobile by Stina Löfgren, made with Stockholm-based toy company JR Work Shop. 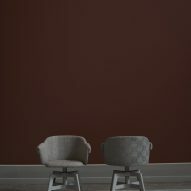 Another recent project championing Swedish design was a competition dedicated to sustainable Nordic chair production, launched to promote the creation of climate-smart furniture in Scandinavia. 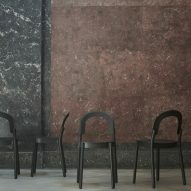 The contest saw chairs made from seaweed and recycled tea lights.